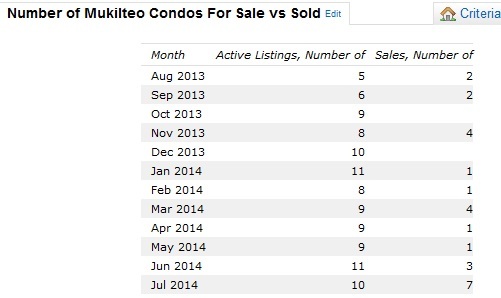 In January 2014 Mukilteo Condo inventory was 11 months which was to the advantage of buyers. 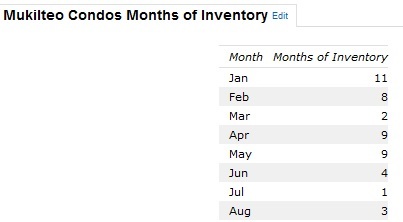 In March 2014 it decreased to two months of inventory which was in the favor of sellers. 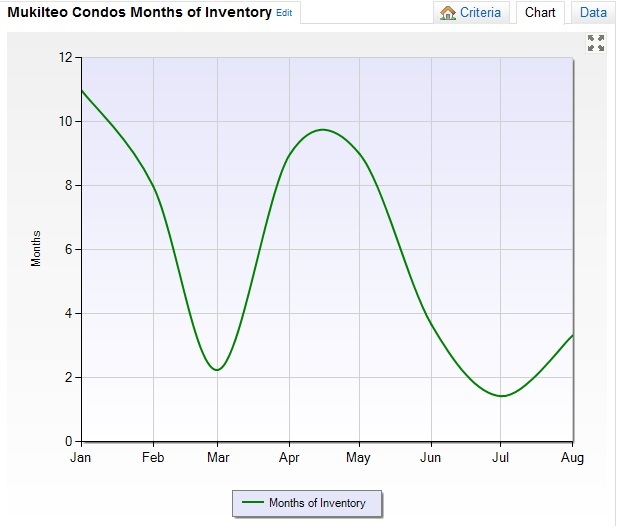 In April 2014 and May 2014 it held steady at nine months of inventory which was to the advantage of buyers. 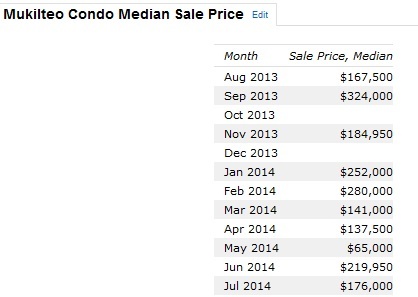 Starting in June 2014 it decreased to four months which swung to the advantage of sellers. 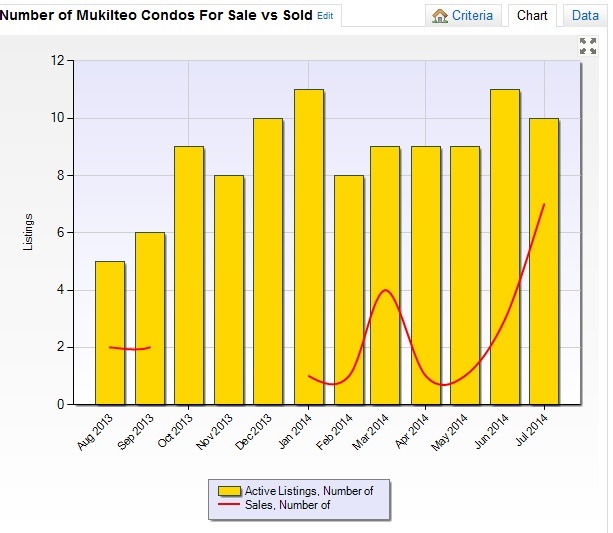 This seems to be a pattern for Mukilteo Washington condos so while the market currently favors sellers this can change at any time. 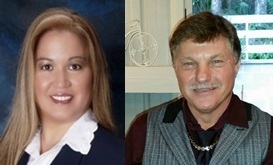 Whether buying OR selling a condo in Mukilteo, Washington call us TODAY for a FREE market analysis at (425) 290-3114. Keep in mind that the median is the “middle number” in a group of numbers but this gives you an idea how brisk sales and price are in Mukilteo. If you are thinking about buying or selling a condo in Mukilteo Washington call us TODAY at (425) 290-3114 for a FREE market analysis.